The typical ACA subscriber has 47 plans to choose from – there are Gold, Silver, and Platinum plans. 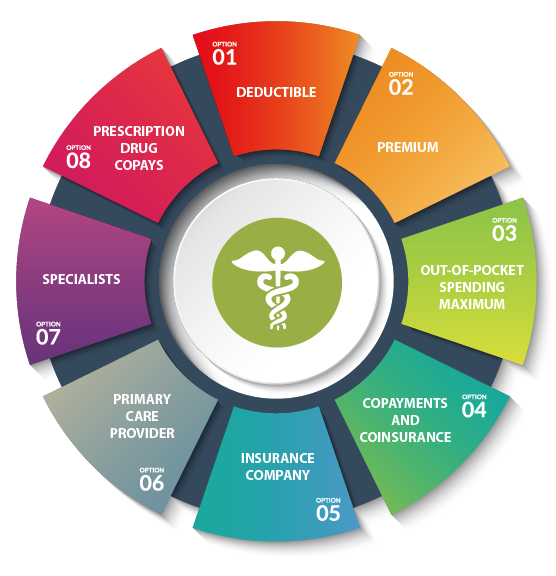 Consumers juggle not just deductibles but also premium levels, their share of copayments, the insurance companies that offer plans in their market, whether their physicians are in each insurer’s network, and whether their prescription drugs are covered by each plan. Once the plan year ends, subscribers do it again for next year’s coverage – and often the options, or the insurers that serve their state’s market, have changed over the past year. Some research suggests that the mistakes employees make are due to very poor health plan literacy. In one study, only 14 percent of adults answered four multiple choice questions correctly about the basics of their health plan coverage: deductibles, copays, out-of-pocket limits, and co-insurance, which requires the patient to pay a percentage of a medical bill. The researchers conclude that their findings show that expanding health care choices do not always have better outcomes – much like picking your 401(k) investments. More choice means fewer participants per plan of group insurance, reduction of benefits, and rising cost. The idea behind the ACA marketplaces was to bring group coverage rates and benefits to individuals, but this model hasn’t worked particularly well for insurers or many participants. You really have to do the math to find the best plan, and most people hate math and don’t know enough about health insurance to make reasonable choices. It’s the same quandary found with 401k plans… more fund choices result in lower enrollments and balances. And many low-income people forget that a low premium bronze plan may cost much more in the end than a higher-premium silver one if you include subsidies and tax credits. More choices do not lead to better choices, in fact it’s just the opposite. All the more reason to have an experienced health insurance agent to help with the process. I routinely give my clients no more than 3 choices as I have already done away with 90% of choices due to cost, as compared to benefits received. I believe that Medicare tries to reduce the “too many choices problem” by requiring supplemental Medicare policies to fit one of 11 patterns. Even 11 may be too many. I can totally identify with this. We have to choose from an array of health care options for medical, dental and eye. Within each category you have the levels bronze to gold and within each level there is a choice of about 5 different insurance providers. It is, quite frankly, overwhelming to try to drill down between all the different options to determine which makes the most financial sense. One could spend hours and hours trying to figure out which plan and which company for medical, then do it again for dental and once again for vision. It makes financial sense to take the time to do the due diligence on choosing plans, but I find myself choosing a particular company because I like its name!